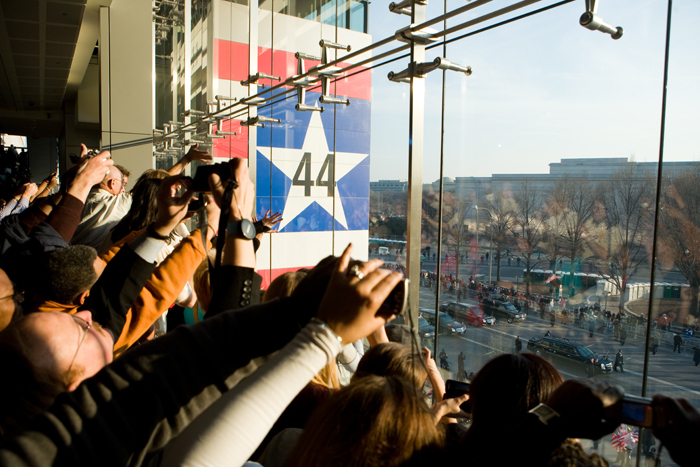 I woke up early in the morning and spent a bunch of hours in the freezing cold with an intricate plan to get a great spot on the parade route to photograph President Obama in front of the Newseum. That didn't work out. 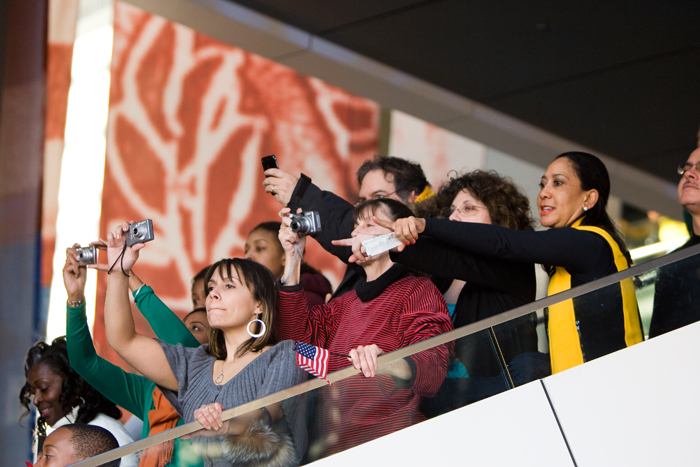 So I photographed people photographing Obama inside the Newseum. More on my hell day on 7th St. later.